Let’s put an end to this trend. Here are some lead response tactics that will help you capitalize on all of those leads that you put effort into acquiring. #1) Have a Better Response Time! Contacting leads within 5 minutes can raise conversion rates as high as 1,000%! When it comes to qualifying leads, response time is the single most important measurable metric. Did you know that leads are 10x less likely to convert if you contact them more than 5 minutes after they filled out a lead form? This means that contacting a lead in the first 5 minutes can result in a 1000% increase in conversion! This number has been relatively consistent among studies. The quicker you respond, the more likely you are to convert. Utilizing SaaS is critical in this area. For example, if you’re an agency that works with Facebook ads, tools like Leadsync can integrate multiple channels to contact customers during those critical first 5 minutes immediately. We can integrate with Slack, Infusionsoft, MailChimp, and any other lead responding software to give you immediate lead access without having to sync your CSV files manually. Don’t let 5 minutes make-or-break your marketing campaign. Reach those leads immediately, and then put your sales team to work qualifying them. Reaching out to leads between 4:30 and 5:30 p.m. is 164% more successful! The art of lead contact is subtle. It relies on key periods of the day and even specific days. Think of lead capture like gambling. You want the statistics stacked in your favor. If you know that contacting leads within 5 minutes results in a 1000% better chance of converting them, why wouldn’t you contact them in 5 minutes? The same thing goes for time-of-day. After you’ve made contact in that initial 5-minute window, it’s important to strategize your follow-up leads. Did you know that contacting leads between 4 – 5 p.m. instead of 1 – 2 p.m. results in a 164% jump in conversion? The time that you reach out to leads matters. So, what are the best times? Early morning (7:30 – 8:00 a.m.) and early afternoon (4:30 – 5:30 p.m.) have statistics in their favor. These “going-to-work” and “getting-off-of-work” times are when prospects are most likely to respond to your phone calls and messages. It’s important to note that there are some mixed results regarding lead contact timing. Some agencies have better results contacting leads during their lunch hours. This may take some tweaking on your part, as it may be variable to the product type you’re offering. The main takeaway here is that you’re testing out time-of-day results. 4:30 – 5:30 seems to hold up consistently among studies as the best time to make the contact. After that, you may have to do some internal testing to figure out which time-of-day works best for your product or service. Wednesday and Thursday are the best days to contact leads, and leads are ~50% more likely to answer calls on these days! Once again, leads are more likely (statistically) to respond to leads on certain days. Research shows that Wednesday and Thursday are the sweet spots. These middle-of-the-week days are when customers have already transitioned into the new week but aren’t in weekend mode as of yet. Research varies, but, on average, you’re 40 – 50% more likely to make contact with customers on Wednesday and Thursday. Again, think of it as a game of poker — why not gamble when the odds are higher in your favor? Don’t give up after 1 call — contacting customers 6x results in a 90% answer rate! The idea that customers are less likely to answer the phone if you call them multiple times doesn’t hold up to research. In fact, if you contact your customer at least 6 times, you have a 90% chance of making contact with them. Of course, this number plateaus, so don’t go around contacting your customers every 5 minutes. Make sure that you don’t give up on customers after a few calls. Make sure that you plug them into a category. Call them once a month. We’ve seen businesses that use the buy-or-die method to great success. Essentially, if your customers aren’t answering, contact them once a month until they buy-or-die. Again, make sure that you are diligent and respectful with your customers, but don’t give up on them if they happen to be busy a few days. Don’t waste all of those resources on leads if you’re not going to contact them. We get it, it’s tough to find a way to contact all of those customers at the right time and place. 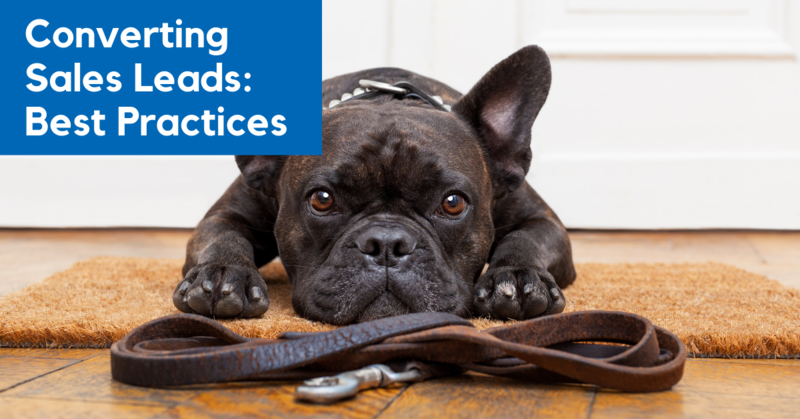 Luckily, tools like Leadsync (if you’re using Facebook Lead Ads) can help you get there. We integrate seamlessly with marketing automation and customer conversion tools to deliver the appropriate response at the appropriate time to all of those precious leads. Don’t let something as simple as timing negatively impact your bottom-line.